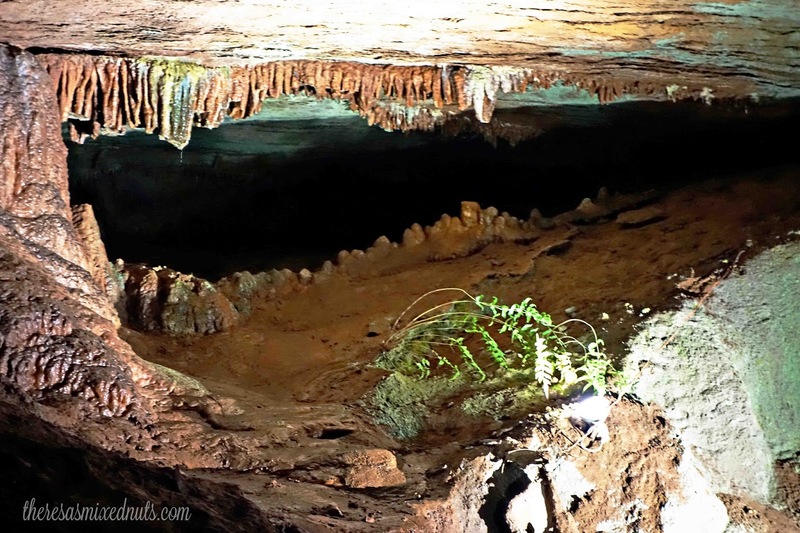 When we were planning a trip to Tennessee this summer, we thought it would be cool to do a little cave exploring. My father in law mentioned a place he took Jason many years ago (so many that Jason didn't even remember it) called The Lost Sea Adventure. 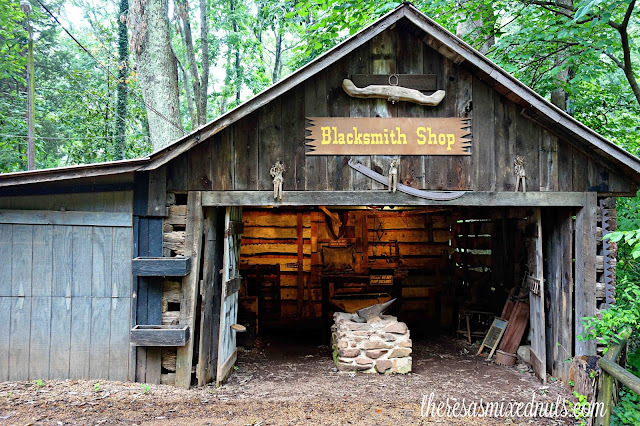 I'm a sucker for tourist traps, so I made sure it was added to our itinerary. The tour is 3/4 mile long, and lasts about an hour. We started our adventure by walking through a long tunnel to get into the caves. Once inside, I was pretty happy to see that it was very open, and you don't feel like you are being sucked into small tunnels. We learned quite a bit about the cave stalagmites and stalactites, how the Indians used the caves as a place for meetings, and how later, the Confederate soldiers used it as shelter. It's definitely rich in history, and you'll learn about how people have used the caves for many different purposes over the years. I'll admit, the novelty of walking through a cave kind of wears off quickly. To me, once you've seen a few stalagmites and stalactites, you're pretty much over the experience. However, this tour offered a few extra perks that kept us entertained. First, they shut off all the lights, pitching us into complete and total darkness. I believe our guide said caves are only one of two places in the world where you can experience this. The other perk is The Lost Sea is home to America's largest underground lake. 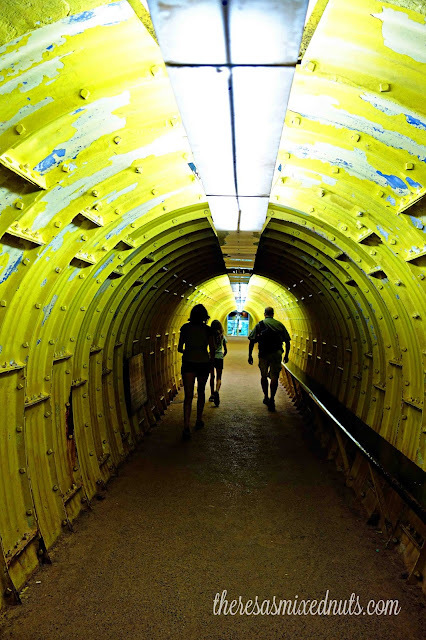 It's located 140 feet below ground and spans 4 acres. You'll board a glass bottom boat, then float out for a trip around the lake. The guide encouraged us to dip our hands into the crisp mineral water, which left our skin feeling really soft. We didn't leave our hands in too long since the lake houses massive rainbow trout that they feed on every tour. The fish do lose about 20% of their eyesight in the lake, and they cannot reproduce, so The Lost Sea does have to replenish the fish supply every so often. When we wrapped up the tour, we did stop at their Old Sweetwater Village to have a look around. 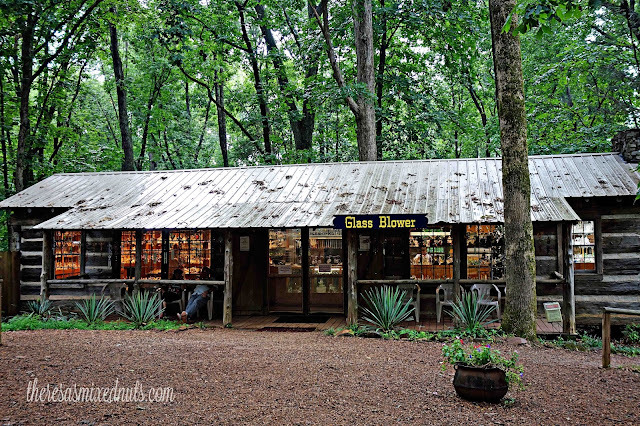 Here you can pick up some souvenirs in the glass blowing shop, stop for an old fashioned ice cream cone, or hike through the nature trail. 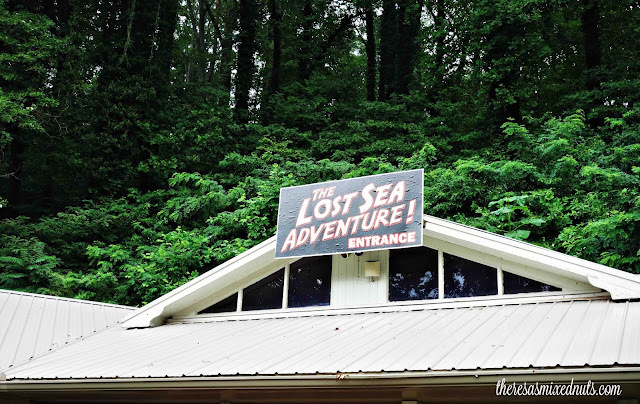 The Lost Sea Adventure is located in Sweetwater, TN, and offers tours daily, except for Christmas. We paid roughly $20 per adult and $10 per child. While it's not something we ever need to go through again, I thought it was fun and the experience was well worth the cost. Have you ever been cave exploring? If so, where? If not, would you ever consider a cave tour? That looks beautiful. Caves kinda freak me out, but I would need to enjoy that experience were I in the neighborhood. Beautiful pics. Have a nice day! You know I've been cave hunting. How fun! I love that long tunnel that you had to go through before getting to the caves. Never been in a cave. Does sound fun for a little bit at least. We don't really have caves like that around here, but we would all LOVE to go explore one like you guys went to. That photo with the cave and water would make a great painting. We have been to the Lost Sea before. It's pretty close to us. My son in law really wants to go. 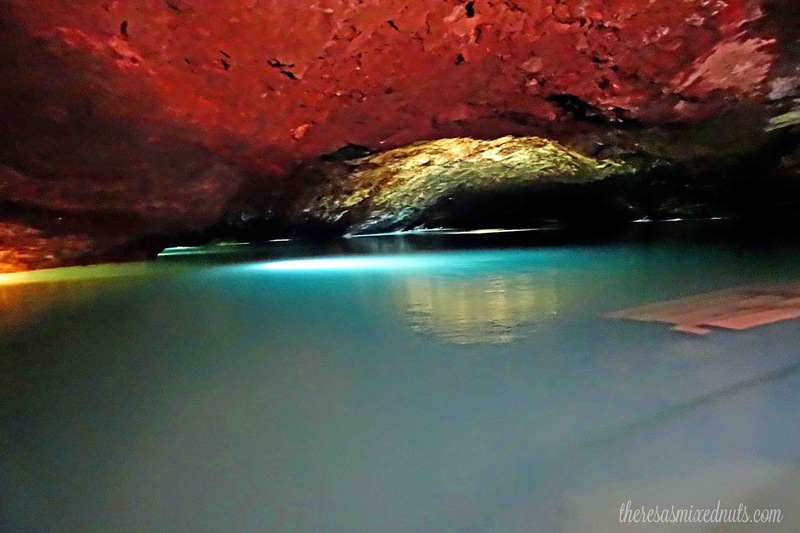 These caves are simply breathtaking. It looks like such a magical place to visit. Wow, I've never seen caves quite like that! Taking a tour there would be great. I have never visited a cave before. They look so cool and pretty, but I'm afraid I would be too claustrophobic. How beautiful! Caves can be a little scary but those are gorgeous! Thanks for an awesome tour! Sounds like something I would love to do and just maybe one day I will get there! Cheers. Wow that looks so amazing! We went to a cave earlier this year and they are very cool. This looks so cool. I would love this adventure. The cave looks so magical! I love looking pictures of them, but I would not get in one. Its not that I am claustrophobic, its just not my thing. Oh wow, this place is amazing! The cave looks very mysterious. I would love to see this for myself. I am glad to see the tunnel was not too small as I would certainly feel claustrophobic. Looks like a fun adventure for the entire family. I went with hubby once a long time ago when we were studying in Aust. It was a very fun experience but also kinda creepy as I watched a few horror shows set in caves and it brought back those memories :P If the rainbow trout are not native to the lake, why do they keep adding them in especially since they can't reproduce there and need external feeding? Just the novelty of having them I suppose. Seems like a lot of upkeep just to have them! The Lost Sea looks amazing. It is wonderful you got a chance to explore it and see all of that beauty. My goodness this looks like so much fun for adventure lovers. The long tunnel & those caves looks scary to me. The pictures are beautiful & I love that glass blowing shop. I am sure you had a great time out there. I went to the Lost Sea when I was in Junior High! So cool! I'd love to go back! Being a regular caveman, I'm proud to say I do a bit of cave exploring on a regular basis, yeah. But none of that beats your scrumptious apple pie. That looks like something I'd love to visit. Caves interest me. 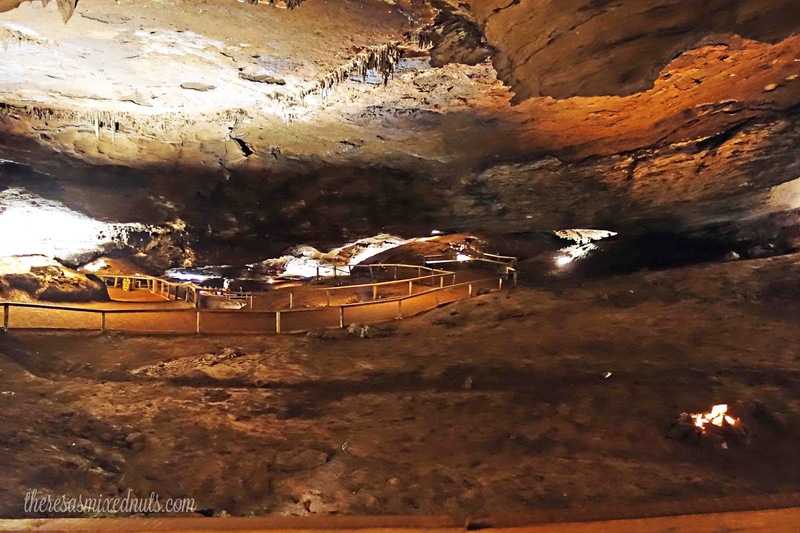 I've been to Mark Twain Cave a few times in Hannibal, MO. Looks like a fun day to me. 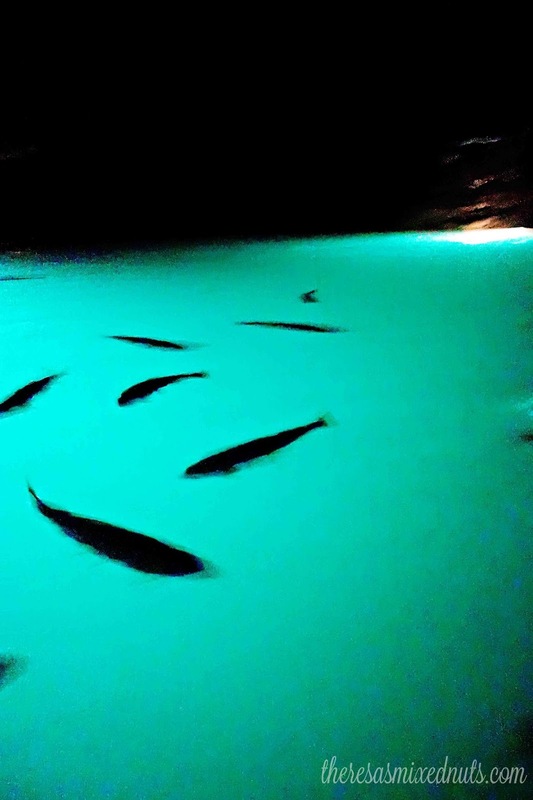 I have never been in a cave that had fish in it. Cool!